A dream is finally realized. 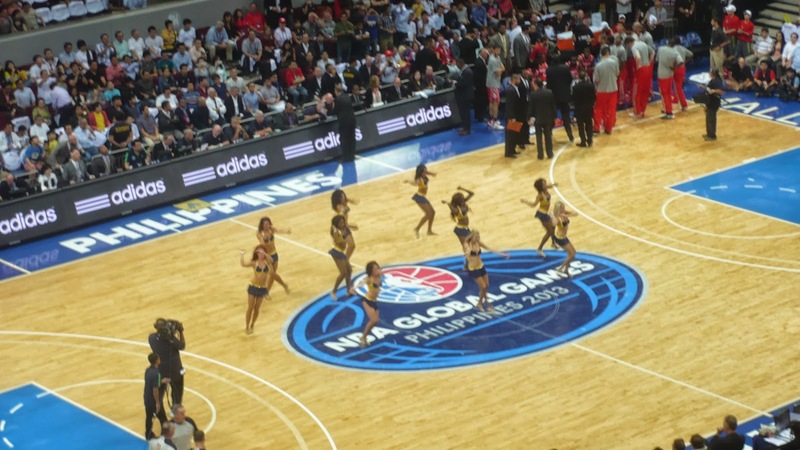 The NBA Global Games/Red Nation experience. 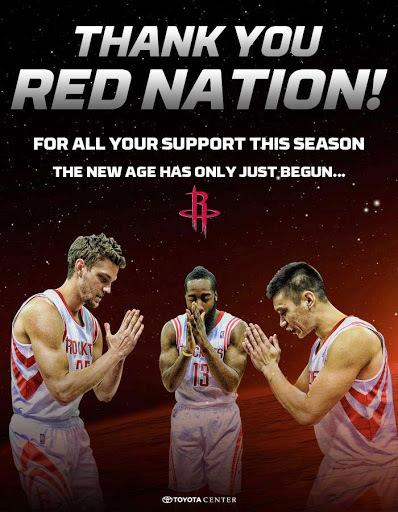 I’ve been a member of Red Nation for 11 years now and I have embraced everything about the Houston Rockets ever since. 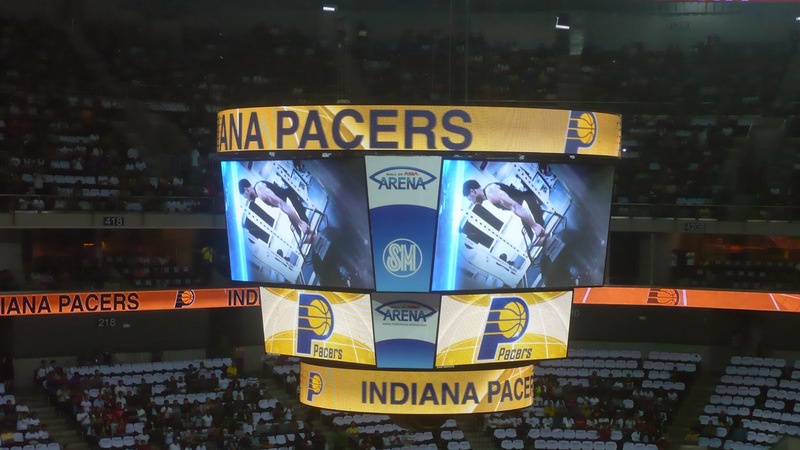 Then one day in February of this year, the dream got closer as the NBA announced that the team alongside the Indiana Pacers will play the very first NBA preseason game in the Philippines. I made my move, saving up and working to get money for the ticket. Then a couple of months later, I went in and purchased my ticket on the very first day it came out to the public. I also got freebies that came along with the ticket and loaded myself with Rockets gear for the big game since it was a perfect time to buy since their gear are plentiful in anticipation of the game. 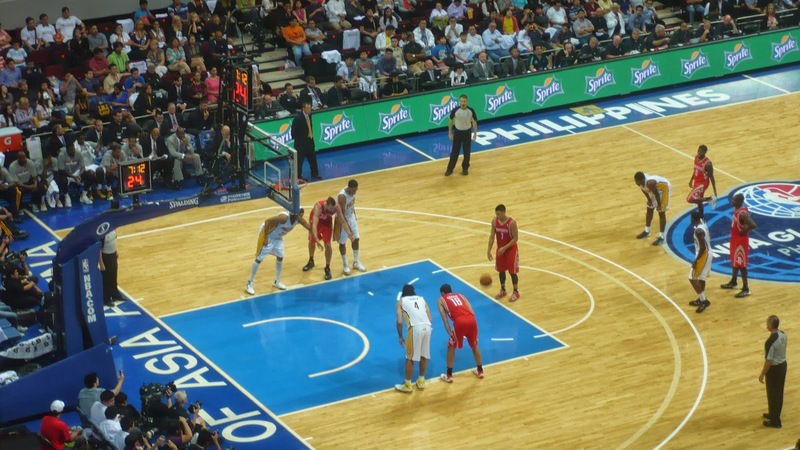 Finally, on one rainy Thursday afternoon, the dream was realized as the NBA Global Games Philippines 2013 finally came along at the Mall of Asia Arena to grace one of the most passionate countries in the world when it comes to basketball. I arrived at the arena as soon as gates opened just after 4pm. 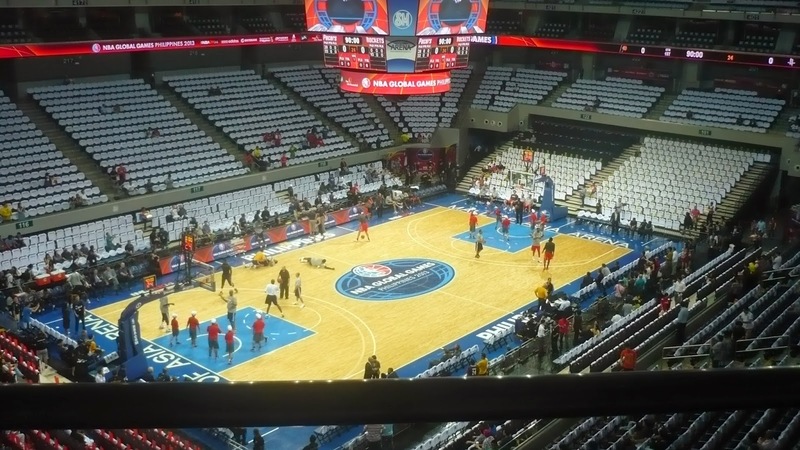 Then, once inside, I finally got to roam around the arena for the first time in the three times I’ve been at a venue to witness a basketball game. I was with my then schoolmate, once my brother’s classmate and Red Nation buddy Ronny who I haven’t seen in 8 years when were just young kids at school. Then we loaded up with gear to buy, before going to our seats and wait for the game to start. 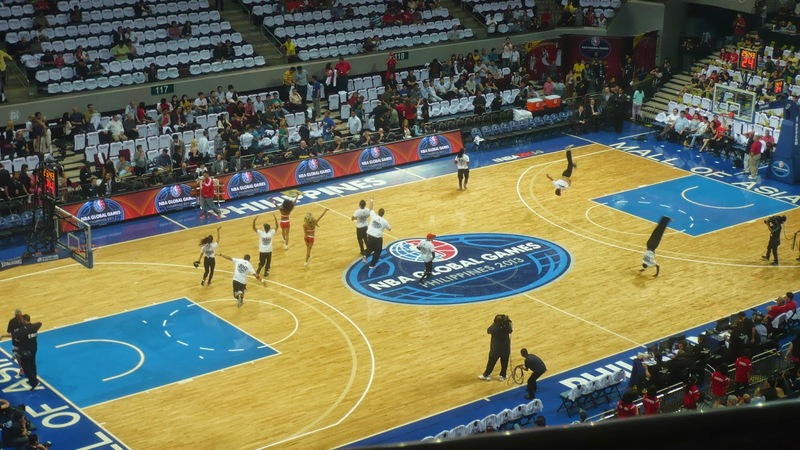 Some of the players were already practicing once we got in and the arena was loaded with white shirts containing “It’s More Fun in the Philippines” since the Department of Tourism stepped in in and supported the event. Along the way I saw some players from the UAAP near the spot where I was sitting. 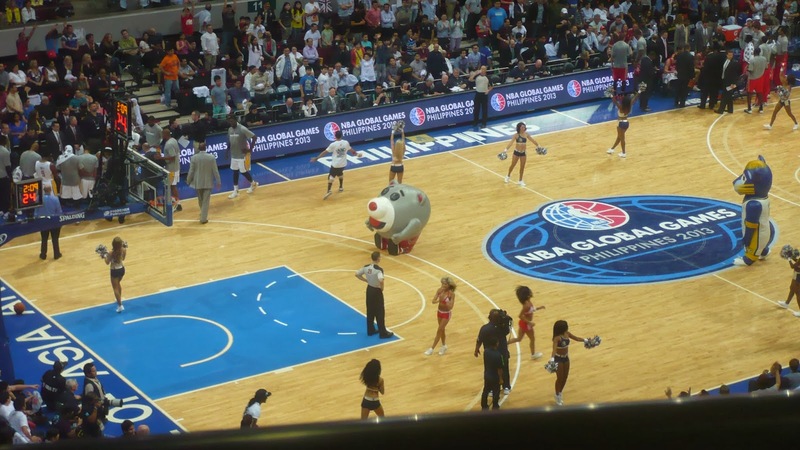 Then moments before tip-off, the Rockets Launch Crew alongside Clutch the Rockets Bear and Boomer came in for their performances. So yeah, I got to see some great mascots around especially Clutch who is one of the best mascots around the world. Then with less than 20 minutes until tip-off, both teams came out of the tunnel for their pregame warmups. 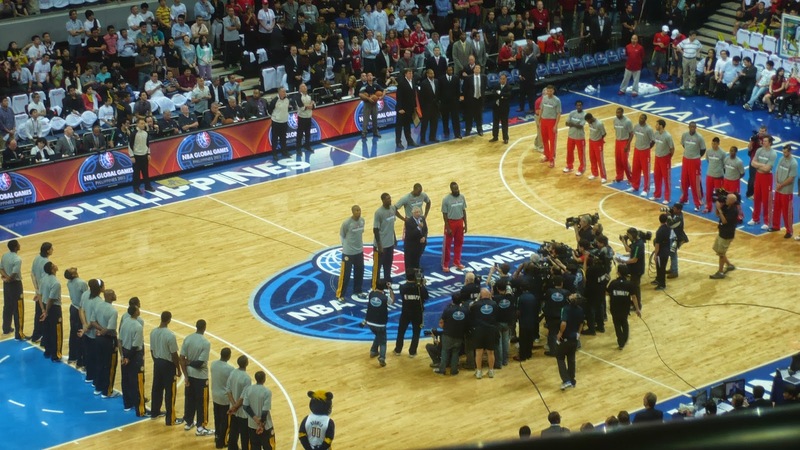 As the buzzer sounded, the teams lined up and the starting lineups were introduced as both the Rockets and Pacers played pregame videos alongside the introduction of the starting lineups. After the introductions, the Commissioner himself David Stern was also in Manila to grace the event and gave his gratitude to the crowd in attendance. Then after a few moments, we have tipoff! 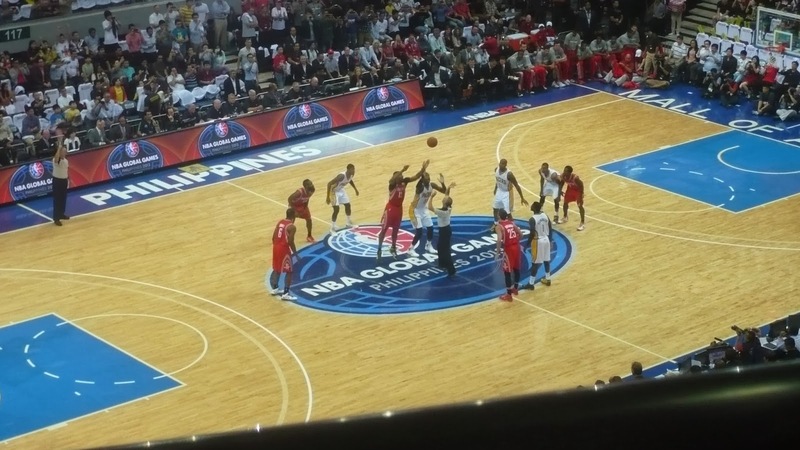 We have tipoff from Manila! As for the game itself, well it was pretty much a one-sided affair as the Rockets never trailed in the game despite comeback bids by the Pacers all game long, as they come up with the win by 20 points 116-96. James Harden led the Rockets with 21 points, 5 rebounds, 4 assists and 4 steals on 6-12 FG shooting. Isareli swingman Omri Casspi added 17 points and 10 rebounds. Lithuanian big man Donatas Motiejunas chipped in 16 points. Chandler Parsons had 15 points, while Jeremy Lin added 14 points, 6 rebounds and 5 assists. Patrick Beverley added 12 points and Dwight Howard only scored 9 points. Paul George led the Pacers with 17 points, while David West added 14. Orlando Johnson scored 11. While George Hill and Luis Scola added 10 each. Danny Granger only scored 9 points alongside CJ Watson while big man Roy Hibbert was only limited to 6 points. 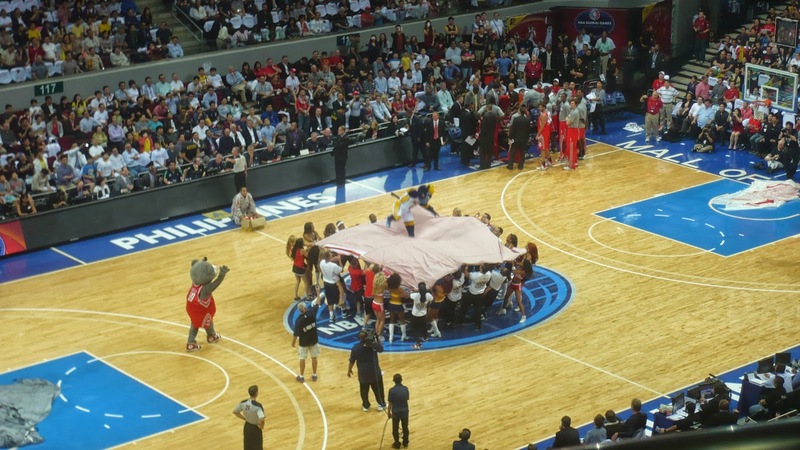 Every timeout, there were performances by Clutch, Boomer, the Rockets Launch Crew and the Pacemates. As well as the fact they were handing out free t-shirts even Clutch gave his Clutch dolls amongst the crowd. There were also fan contests throughout. 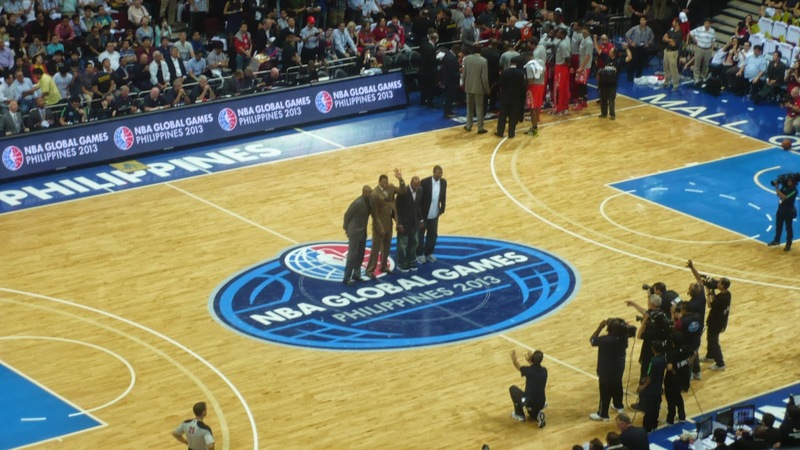 In addition, they honored NBA legends Clyde Drexler, Robert Horry, Ron Harper and Jalen Rose who graced the country for the series of events that transpired over the past couple of days. As the final buzzer sounded, the players came out to hand in some freebies to the crowd in attendance. The Indiana Pacemates doing a dance for the crowd. NBA legends Clyde Drexler, Robert Horry, Ron Harper and Jalen Rose. Clutch and Boomer up with their crazy antics during the timeout. Rockets Launch Crew wowing the crowd. Air Clutch and Air Boomer with the Rockets Launch Crew and the Pacemates. The game also gave me an opportunity to see the players and legends I only see on television live in person. At the same time see both teams play their brand of basketball right before my eyes. From the Rockets players like James Harden, Jeremy Lin, Dwight Howard and Chandler Parsons to the Pacers players like Paul George, Danny Granger, Roy Hibbert, George Hill and Luis Scola. At the same time, seeing coaches Kevin McHale and Frank Vogel. Even Rockets GM Daryl Morey and Pacers President Larry Bird. As for the crowd atmosphere, well it’s a different sight. As for most of the game. 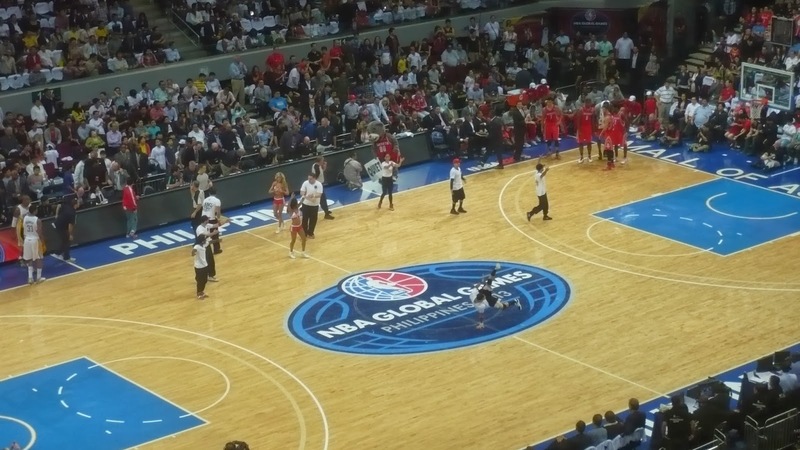 Filipino basketball fans were not as rabid and wild as if it were a college basketball or PBA game. The crowd was very attentive to every play, every basket, every block, every three pointer that came along during the course of the game. You can even hear the coaches give instructions on their players. I even saw fans of the Pacers who came all the way from Indiana to see their team play here. There was one guy who came to the game with the sign “I Love the Pacers” and at the back “Mahal ko ang Pacers”. An irony about the fan reaction during the the game, there were cheers when Jeremy Lin gets a basket or touches the ball and he was given a nice ovation when his night on the floor was done. While Dwight Howard got jeers whenever he has the ball or takes free throws, when he got his fifth foul, the crowd just went crazy. 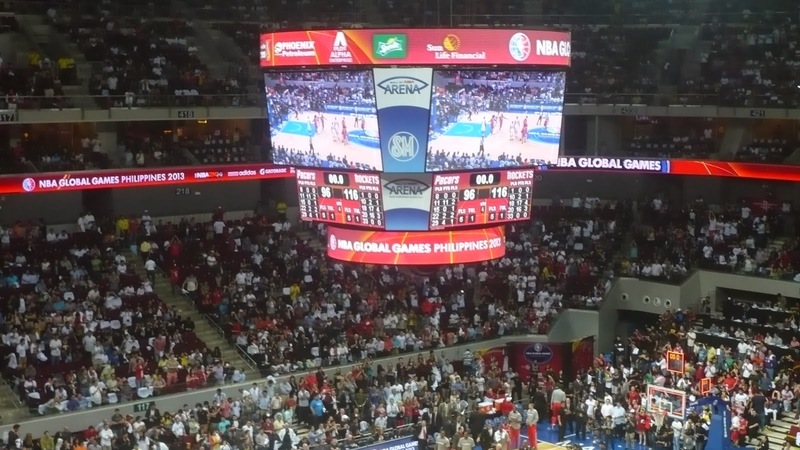 The Mall of Asia Arena also wasn’t filled to capacity as only around 15,000 were in attendance to watch the game. One factor could be the ticket prices as well as the bad weather around the area. The fans were wearing either Rockets or Pacers gear as well as NBA gear from other teams. Well, the Global Games/Red Nation experience was all worth it. 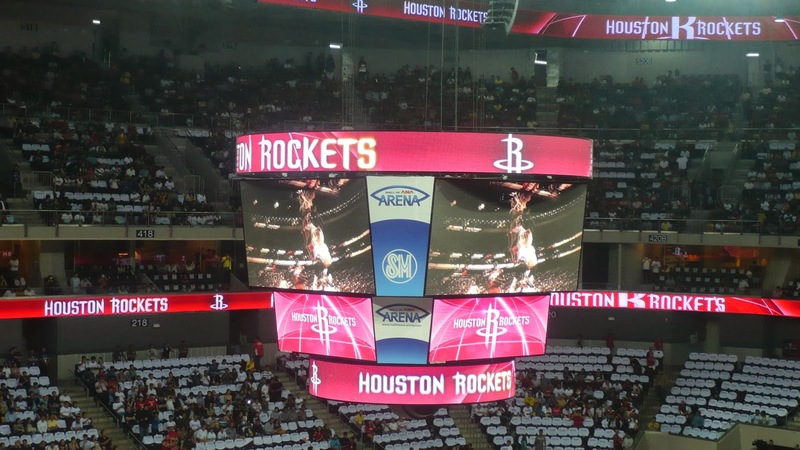 Not only because the Rockets won the game which I would say was a bonus, but the experience of seeing my favorite players and legends from both teams at the same time the once in a blue moon experience of an authentic NBA game on Philippine soil. Well, I would say it would have been better if a Filipino was on an NBA roster and the fans will come out with their all-out support. Similar to what Yao Ming experienced when the NBA came over to China in 2005 and what will Jeremy Lin experience up in Taiwan as both the Rockets and Pacers made their second stop in their NBA Global Games trip. 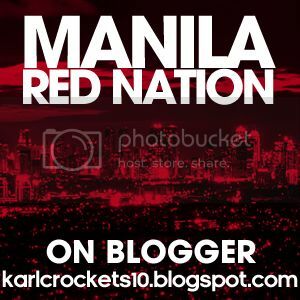 At the same time, they can improve on ticket prices to make the experience affordable to every Filipino, the next time the league decides to come back and play on Philippine soil once again which I believe will happen sooner than many people expect. 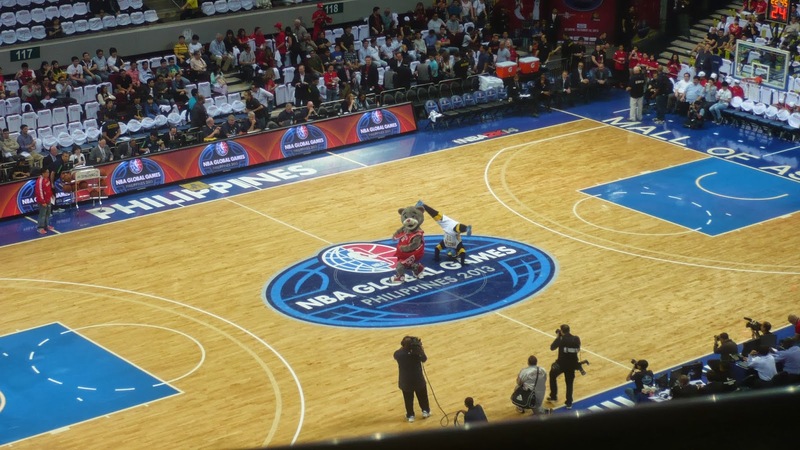 To wrap up this entry I would like to thank the NBA and NBA Philippines for bringing the Global Games here in the Philippines. I hope it’s not the last time they will do this on our shores and I always believe that one day, a Filipino player will shine bright in the league. Someday, I will get to watch the NBA in the United States. P.S. 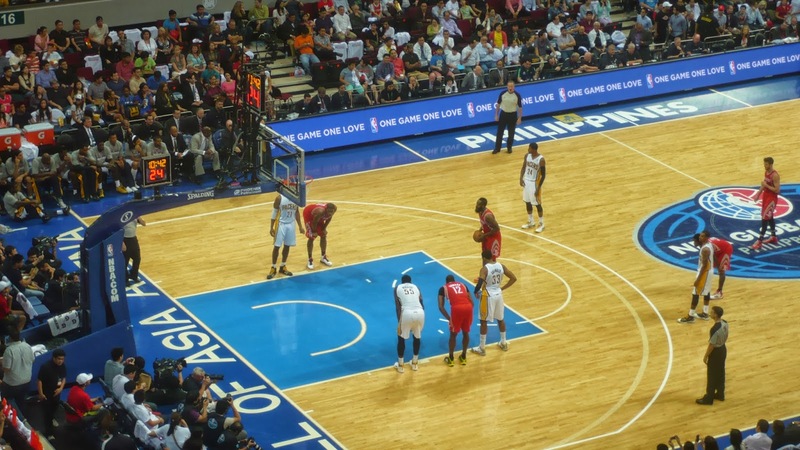 Is the NBA Cafe at SM Aura in Fort Bonifacio open already? 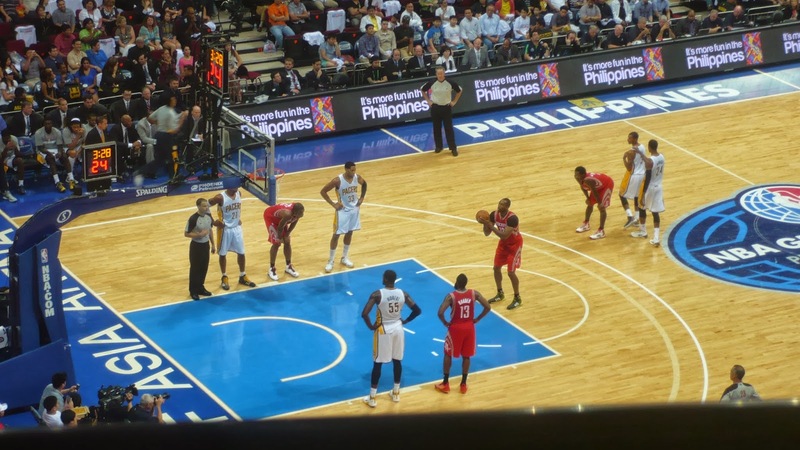 Missed opportunity to see "The Great Wall"
Yesterday, the Philippine men‘s national basketball teambattled against the Shanghai Sharks in an exhibition game at the Mall of Asia Arena. But with all the basketball happening on the court, one guy stands out among the crowd. I mean he literally stands out. That person was Yao Ming, the former Houston Rockets center who is the owner of the team he played for before he was drafted by the Rockets #1 overall in 2002. 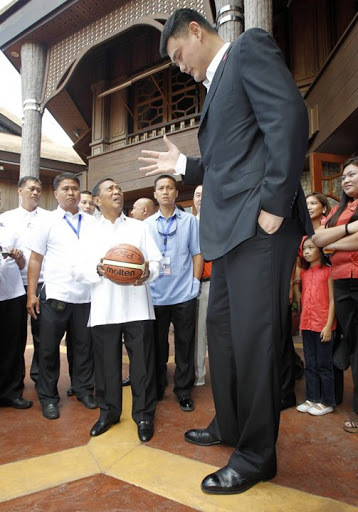 Yao and the Sharks arrived in Manila over the weekend, where Yao met with Vice President Jejomar Binay for “Basketball diplomacy”as well as conducting basketball clinics to aspiring Filipino basketball players before his Sharks played against the national team yesterday. 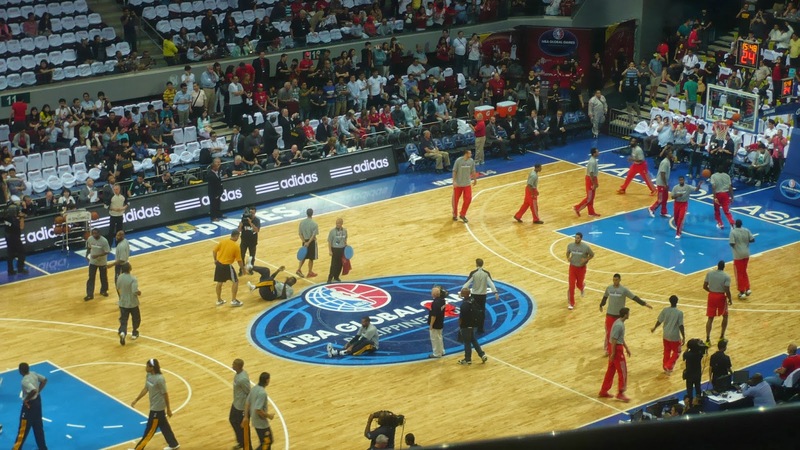 The national team would end up defeating the Sharks 80-72. When I said he stands out, he really is as shown on this photo with the Vice President. Yeah, I’m having a bit of a regret that I was unable to see him in person. I knew about his visit weeks before he arrived here in the Philippines. I mean he’s the reason I became a member of Red Nation (Houston Rockets fanbase for those who don’t know it.) from the time he was drafted to the NBA. Even though he hanged up his jersey for good two years ago with all the injuries he got throughout his 9 year NBA career. He’s still one of my favorite basketball players of all-time and I’ve been riding with Red Nation since he left the league to include those 9th place finishes as well as their recently concluded playoff run. 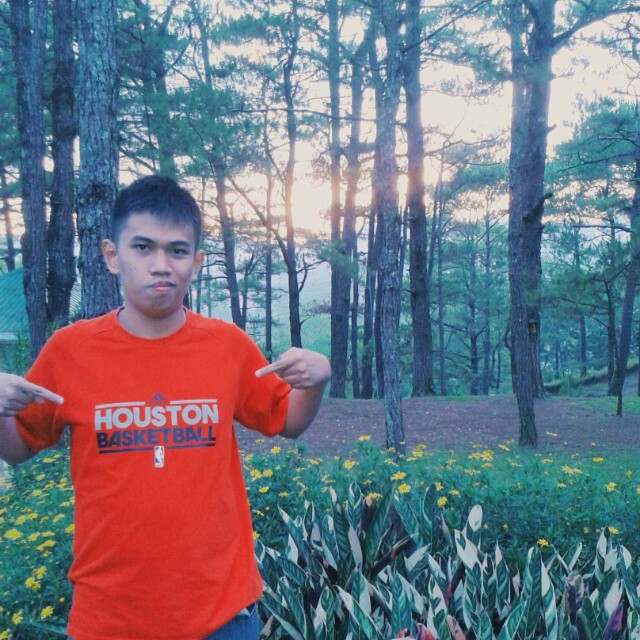 Then again, I’m saving up for the NBA preseason game between the Rockets and the Indiana Pacers this October which could possibly be worth a lot of money but it will be all worth it if I can get the tickets to see my favorite team in the NBA play on Philippine soil. So yeah, I must control my spending to get a better seat once tickets of the game come out very soon. I may not have seen him when the opportunity was within reach. But definitely, I hope I will get to see him very soon. He’s one of those guys you’ll love and look up even if his basketball career was cut drastically short. The Great Wall lives on. 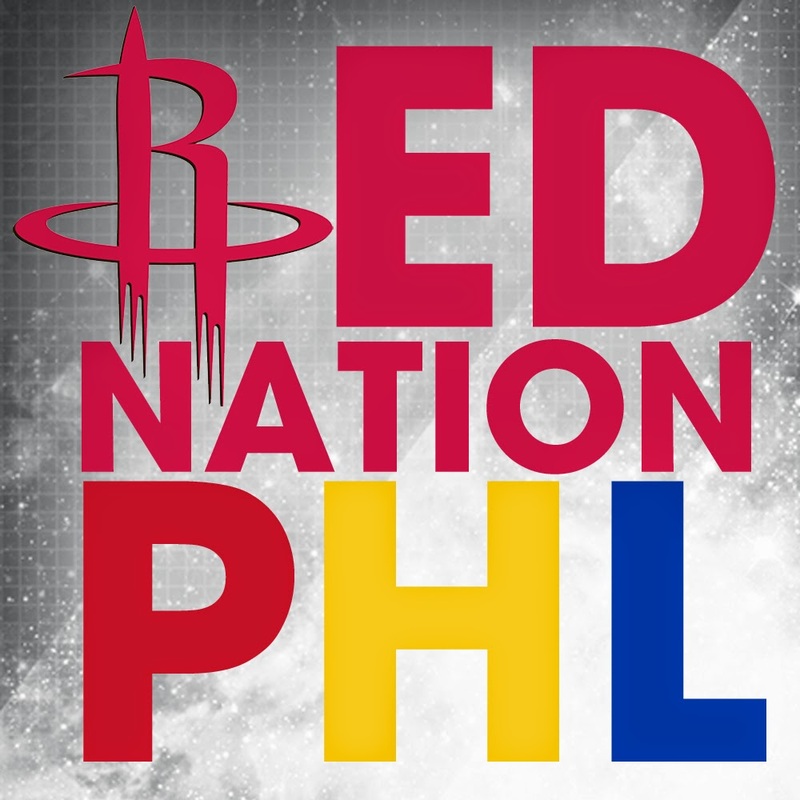 No matter what happens each season, Red Nation for life. After 82 regular season games and 6 playoff games, the 2012-13 season is over for my favorite team in the NBA, the Houston Rockets. Well in this blog entry, we look back on what has been one season for the books for these “Youngbloods” and what to look forward come next season. After three seasons of sitting in ninth place in the Western Conference standings despite having winning seasons in all three of those season, the off-season began when Rockets GM Daryl Morey making a large roster overhaul. He brought in players like Jeremy Lin who was coming off the “Linsanity” fare in New York, Omer Asik who was playing as the back-up center for the Bulls. He also brought in players like Toney Douglas, Carlos Delfinoas well as drafting Jeremy Lamb, Terrence Jones and Royce White in the draft. Gone were players like Goran Dragic, Kyle Lowry, Luis Scola, Courtney Lee, Chase Budinger, Samuel Dalembert and Marcus Camby. However, all that was overshadowed when the Rockets pulled a trade with the Thunder sending Kevin Martin and Lamb to Oklahoma City for Sixth Man of the Year awardee James Harden, together with Cole Aldrich, Daequan Cook and Lazar Hayward. When the dust settled, only Chandler Parsons, Patrick Patterson, Greg Smith and Marcus Morris remained from last year’s roster as the season began. The Rockets would make moves during the off-season as Patterson, Douglasand Morris were sent elsewhere and they brought in players like Francisco Garciaand Thomas Robinson. They also signed players like Patrick Beverleyand Donatas Motiejunas as well as bringing back 2010 Most Improved Player awardee Aaron Brooks who was a part of that 2009 Playoff run. James Harden had a breakout year for the Rockets, from a sixth man in Oklahoma City to becoming the face of the franchise in Houston. He finished the season 5th in scoring in the NBA. He alsois one of the league leaders in free throws made and attempted. He was named to his first All-Star selection at homeand is on track to become a part of this year’s All-NBA team. Jeremy Lin had a nice season with the Rockets on his first full year playing starter‘s minutes. He showed his durability as he was able to play all 82 regular season games while putting up respectable numbers. He also came out as one of the league leaders in steals as well as keeping his turnovers down which has been a problem throughout his entire career. He participated in All-Star weekend at the Skills Challenge. Chandler Parsons came out big in his sophomore campaign. Being one of the two guys (Greg Smith) left from last year’s roster, Parsons came out as the second leading scorer for the Rockets this season behind Harden. He also shot the ball better from three point range as he led the Rockets this season in 3 point percentage. He also played in the BBVA Rising Stars Challenge during All-Star weekend. Omer Asik also came out hugewhen he got starter’s minutes for the Rockets. He finishes the season as one of the leaders in rebounding, as well as providing a defensive presence for the Rockets all season long. Like Lin, he was able to play into all 82 games during the regular season and was able to play in all six playoff games. Carlos Delfino and Francisco Garcia provided a veteran presence on a very young team. These two players live and die with the three pointer. They also have been great elder statesmen as they have been in the league for a long time now. Patrick Beverley and Aaron Brooks brought along speed and pure heart on a season which they never played from start to finish. It would be great to see them back in a Rockets uniform for a full year. Greg Smith, Terrence Jones, James Anderson and Donatas Motiejunas will have time to develop their game in the seasons to come. Give a ton of credit also to head coach Kevin McHale who in his second year as the man calling the shots for the Rockets. He was able to find a style of play which made the Rocketsa very exciting team during the course of the regular season despite going through a large roster overhaul during the off-season and the regular season. The Rockets finished 45-37 this season and were seeded 8th in the Western Conference ending a four year playoff drought. They would push the top-seeded Oklahoma City Thunder to six games before bowing out. So yeah, it’s been a great time being part of Red Nation this season. This is a a season to remember for me in the 10 years I’ve been a part of Red Nation. No one else though that this team, the youngest team in the NBA today would come up with a ton of heart and grit all season long. Now the off-season begins for them. With a cap space large enough to lure a big name in. These “Youngbloods” will be out to make a ton of noise come next season. 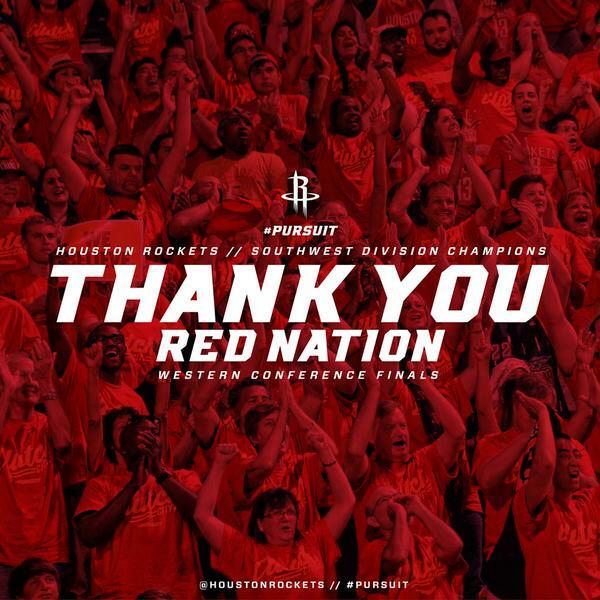 To cap this blog entry, let me share to you this banner made by the Rockets for the Red Nation. Truly the New Age has only just begun. See you in October here in the Philippines.